May | 2013 | I HATE HATE!!! It’s all here, in the article and the comments. Not much to add, other than that carny hurdy-gurdy sound never grates. The Stranglers were similar, but nothing like Ray Manzarek. RIP. No doubt most British readers will know about the tragic case of grandmother Stephanie Bottrill, who committed suicide because she could not afford to live with the bedroom tax. Her children had left home, as adult children tend to do, so Ms Bottrill was living alone in her three-bedroom home – a house she had lived in for 18 years, bringing up 2 children as a single mother. So, under the “spare room subsidy” (ie bedroom tax) the 2 “under-occupied” bedrooms reduced her housing benefit by 25%. In the days leading up to her suicide, Ms Bottrill had told her son she struggling to cope, and she had told neighbours she couldn’t afford to live anymore. 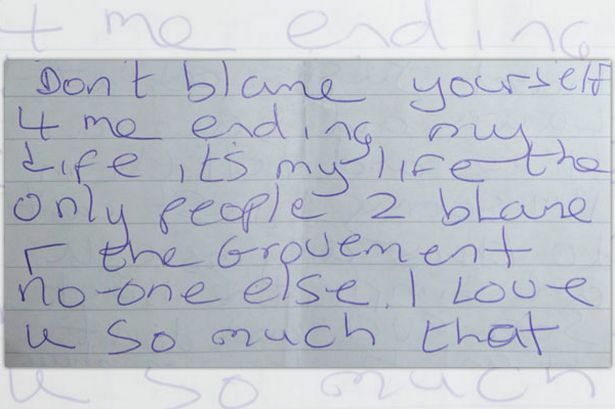 left a note blaming the government’s so-called “bedroom tax” for her death. “She was fine before the bedroom tax. It was dreamt up in London, by people in offices and big houses. “Hopefully now someone will listen. Someone will realise what has gone on and change things. “They are all sitting in an office in London thinking of ideas how they can make money, but Mr Cameron has to give the seal of approval. “They haven’t thought it through properly, how it will affect people. For my mum £80 a month is a huge amount of money but for people who are on huge salaries who have gone to Eton it is a different world. “She was struggling already, it was a lot to ask for. She was so poor she used hot water bottles instead of her central heating. Steven added: “She couldn’t afford it. All the winter she didn’t have the heating on. “She wrapped up warm, she had hot water bottles even when she was watching the telly. She packed all her belongings, tidy and thoughtful until the end, before killing herself by throwing herself under a lorry on the M6. This is an awful thing to think about, but I can predict a lot more similar cases in the coming months. Poor people in social housing, in homes where they have lived for 20 years or more, are now being forced to pay a lot of money because their children have grown up and left home. The government want old people dragged away from their homes and stuffed into tiny flats where they have no space for the sentimentally valuable possessions they have gathered over the years, stuffed into tiny cells where they can be safely ignored – out of sight, out of mind. And, while politicians make all kinds of sympathetic noises, the fact is that the government couldn’t care less. Most of these suicides are by poor people, so that’s another Labour voter the Tories need not worry about any more. No government like poverty in their own backyard, but only the Conservatives could come up with this solution. Kill the poor. You are currently browsing the I HATE HATE!!! blog archives for May, 2013.